Product prices and availability are accurate as of 2019-04-08 11:40:12 EDT and are subject to change. Any price and availability information displayed on http://www.amazon.com/ at the time of purchase will apply to the purchase of this product. 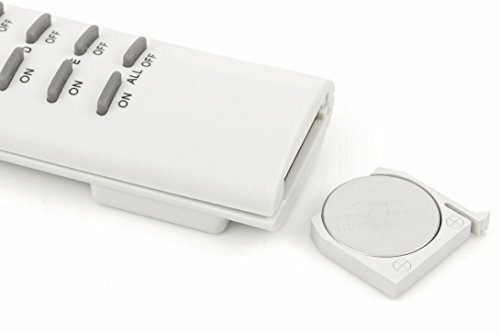 Converting a conventional wall outlet to a smart one that can be programmed and remotely controlled with a single finger press from a distance of up to 100 feet away, the Instapark ORC series outlet remote control kit is an easy, convenient, and inexpensive solution for switching on/off lights, appliances, devices at out-of-reach locations, or devices without built-in on/off switches, it could also be of great assistance to people with challenged mobility. 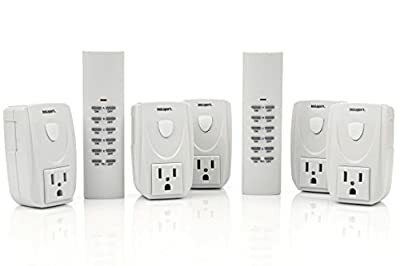 The ORC-T2R5 kit is easy and quick to set up and program, it comes with two remote controls and five outlet adapters/receivers, additional remote control or receiver are available to be purchased separately. 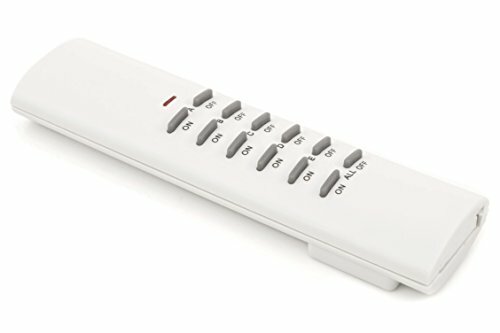 Powered by a single CR2032 battery (included), each remote control may pair with up to 5 receivers with individual "ON" and "OFF" buttons, for added convenience, there's also a pair of "ON" and "OFF" buttons for turning on or off all paired receivers at once. The receivers have manual on/off switch and power-on light indication, they plug into any standard wall outlets. When turned off, they will cut power to the devices, thus eliminating wasteful idle power consumption. -Dimension: 3" X 2 ¼" X 2"